Knit this week and wear by the weekend! 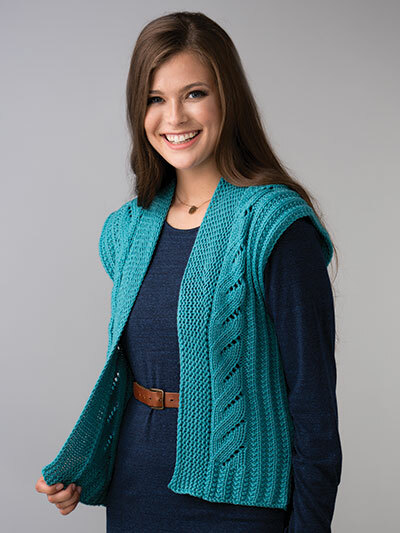 This fashionable vest in bulky yarn is a fast knit. 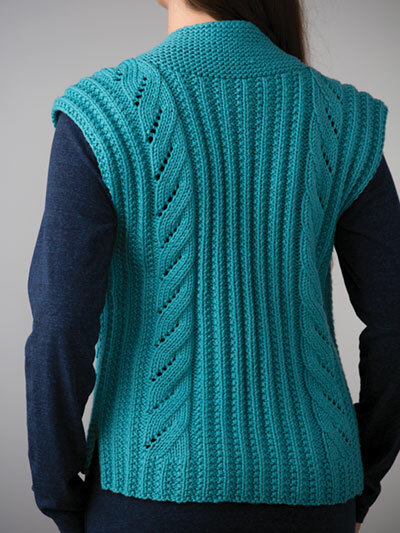 Lace panels give the look of cables and are deceptively simple to knit. Knit with 550 (550, 660, 770, 880) yds chunky-weight yarn using U.S. size 10/6mm needles. Design was originally published in Creative Knitting Winter 2018. Chest: 34 (37 1/2, 41 1/2, 45 1/2, 49 1/2)"
Length: 23 1/2 (25 1/4, 25 1/4, 25 1/4, 27 1/4)"